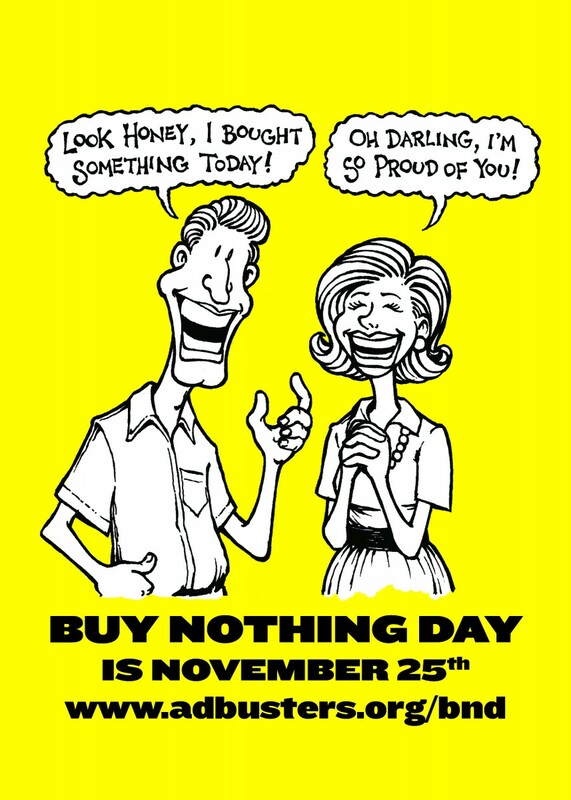 An Adbusters Buy Nothing Day poster. As protesters continue to be ousted from Occupy sites across North America, the Canadian magazine widely credited with starting it all has kicked off a new campaign—Occupy Christmas. 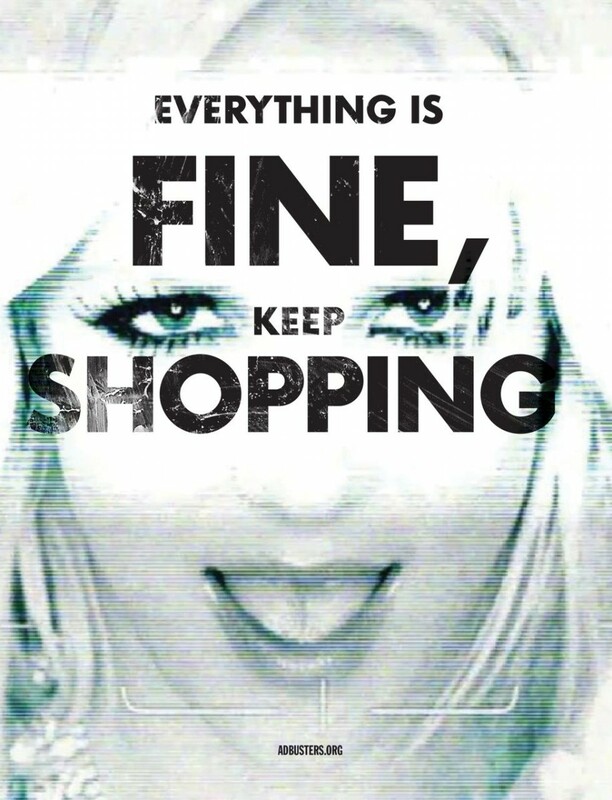 Adbusters, a non-profit alternative magazine based in Vancouver, is now targeting the “rabid consumerism” of the gift-giving season. The campaign kicked off on Nov. 25, Black Friday—the biggest shopping day of the year in the United States and the 20th anniversary of the magazine’s annual Buy Nothing Day—and will continue until the sales in early January. “Let’s use the coming 20th annual Buy Nothing Day to launch an all-out offensive to unseat the corporate kings on the holiday throne,” states the publication’s website. The variety of suggested “shenanigans” include flash mobs and sit-ins at malls; sit-ins outside stores where protesters encourage shoppers to cut up their credit cards; consumer “fasts”; and whirly-marts, in which protesters fill shopping carts with goods and then abandon them at the till. 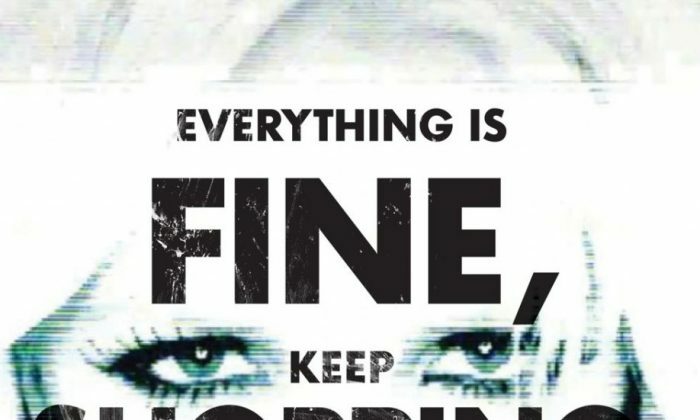 “As the global protests of the 99 percent against corporate greed and casino capitalism continues, let’s take the opportunity to hit the empire where it really hurts…the wallet,” says Adbusters’ message. But retailers are worried about the campaign, says Sally Ritchie, VP of communications and marketing with the Retail Council of Canada, which represents 43,000 storefronts across the country. “They’re concerned beyond just the fact that it is their busiest time of year, but that’s certainly a consideration. But also their main concern is the safety of their staff and their customers. While we’re sensitive to the sentiments of the organizers we just think this is an inappropriate time to be doing this,” she says. The holiday season is a make or break time for many retailers, and if the campaign gains momentum it could have a negative impact, Ritchie adds. Coming on the heels of the Occupy Wall Street movement that had offshoots around the world, Adbusters’ campaign could catch on, says Mark Leier, a professor with Simon Fraser University’s Department of History who studies popular movements. “I’m not sure anyone would have predicted that their call to occupy Wall Street would have caught on in quite the way that it did,” he says. “I think the real issue that Adbusters is starting to poke at, but more importantly that millions of people are starting to examine and question, is not just whether we buy crap—the answer to that is yeah, we do, and we probably shouldn’t—but that to have a system that depends on making things that are harmful for us, for the environment … is really to be in a system that has something very wrong at its core,” he says. However, he notes that “movements of consumers” tend to not to be very successful, because although people may refrain from buying a certain item, such as the latest fad or craze, they may end up buying something else instead. On the Occupy Christmas Facebook page, people are encouraged to make gift-giving more meaningful by giving home-made gifts, buying from local businesses rather than large corporations, or giving money to charity. 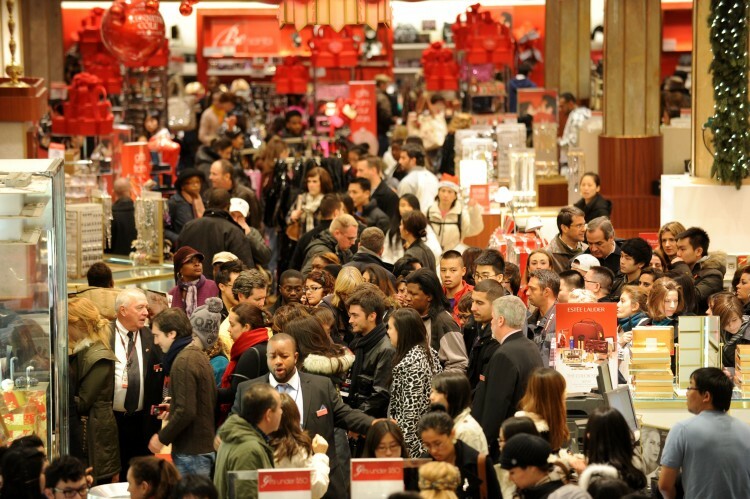 While Black Friday—so-called because profits made help put merchants “in the black”—is the biggest shopping day in the U.S., in Canada that day is Dec. 23.